Major sponsorship payment by Optus for the 2018 Gold Coast Business Excellence Awards' Family Business Award Category: Instalment 1. A Who's Who list of 30 of the city's business community has attended a private lunch in the KPMG boardroom to hear from State of Origin legend Mal Meninga, Titans executive chairman Dennis Watt and new Titans CEO Steve Mitchell. High-profile construction company Condev has been named the Gold Coast Business of the Year. 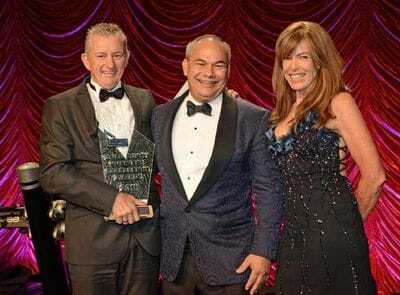 The Varsity Lakes-headquartered company, which is headed up by Steve and Tracy Marais, received the award at the Gold Coast Business Excellence Awards gala dinner attended by 670 of the city's business leaders at The Star on Saturday night.